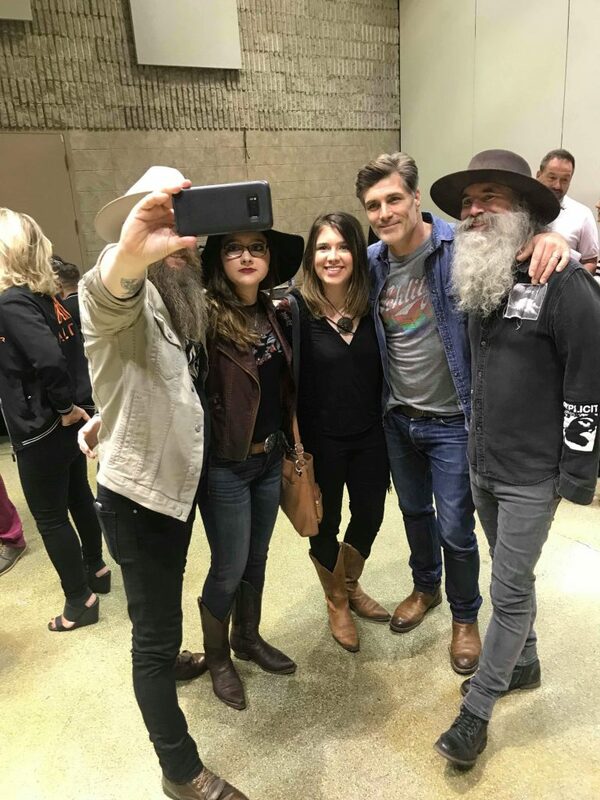 Doug Folkins is set to perform a songwriter session at the prestigious Listening Room in Nashville, Tennessee on February 18 2019! Lineup: Here North There, Cassels, Eden Music, Shane Steward, and GWAY. 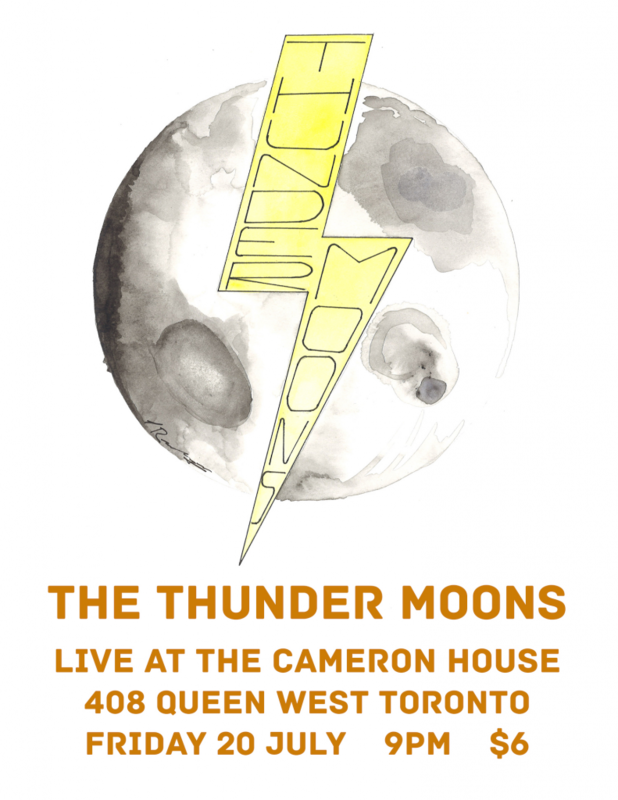 Caroline & The Thunder Moons will perform live in Toronto, Ontario, Canada at The Cameron House on July 20th! 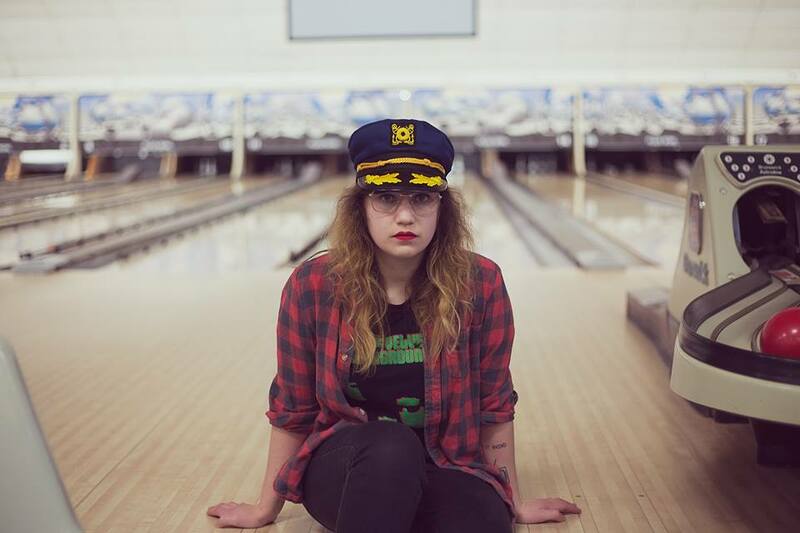 Caroline & The Thunder Moons vont jouer live en show à Toronto, Ontario, Canada au Cameron House le 20 Juillet! 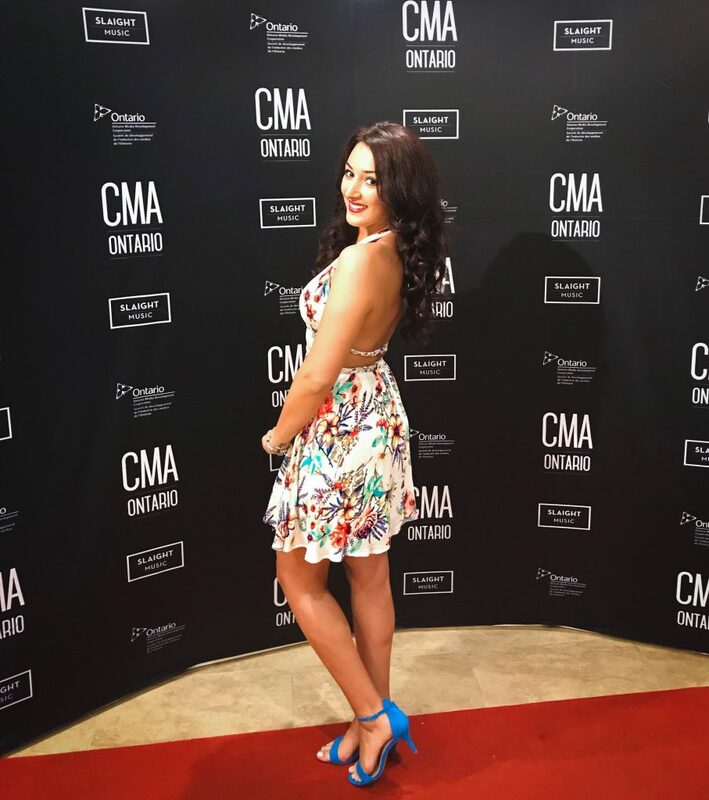 Canadian country singer-songwriter Alessia Cohle walking the red carpet during the CMAOntario Awards 2018!! 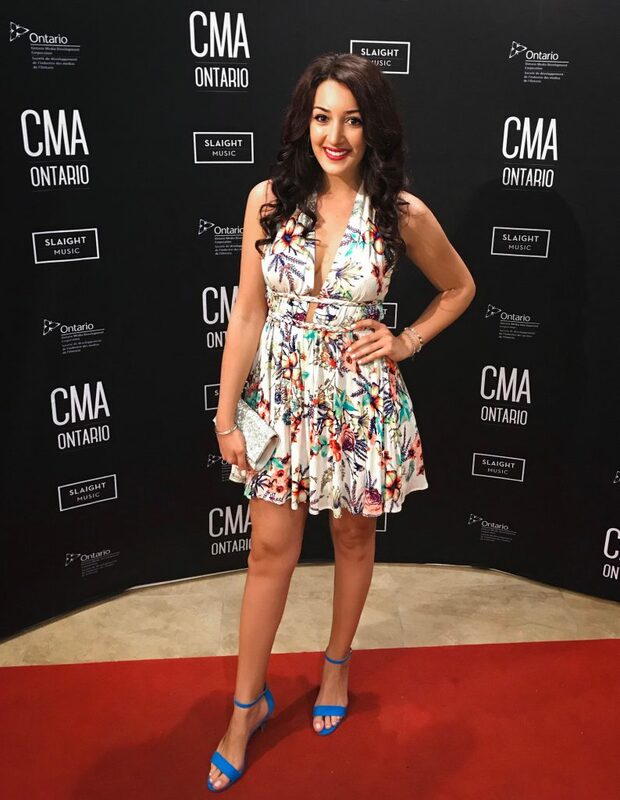 La chanteuse-compositrice de la musique country, Alessia Cohle a marché le tapis rouge pendant le CMAOntario Awards 2018!! 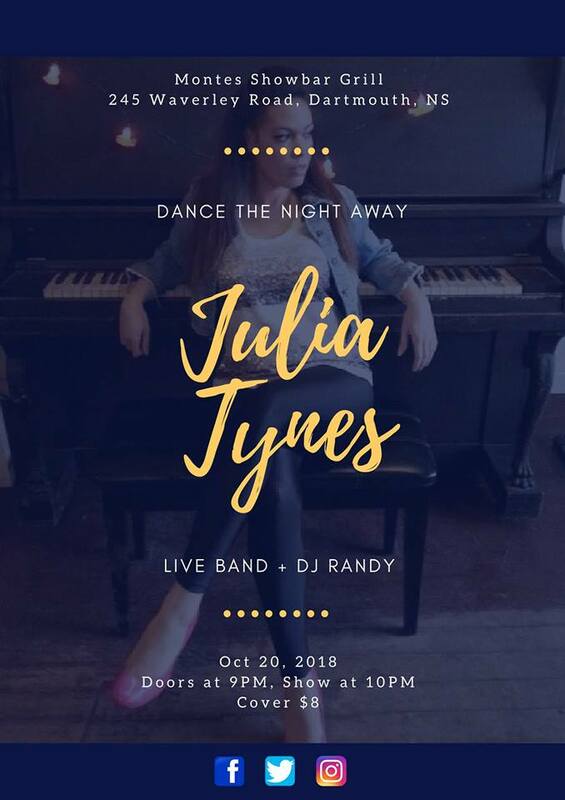 Don’t miss out on Toronto based pop artist Julia Tynes on Wednesday, April 11th at the Supermarket in the heart of Kesington Market. Join us for an amazing night at Rum Runners on April 5th in London,ON! 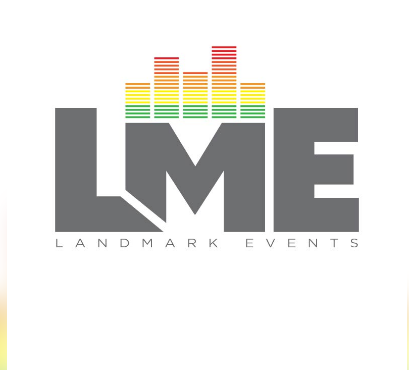 COME OUT SATURDAY, MARCH 3rd for a indie artist showcase and networking opportunity hosted by Landmark Entertainement (LME) at the Revival Bar, Toronto. 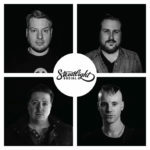 Featuring: Coopertheband,Sincerely Craig, King Park, Key To The North,MitchTones Band and more! 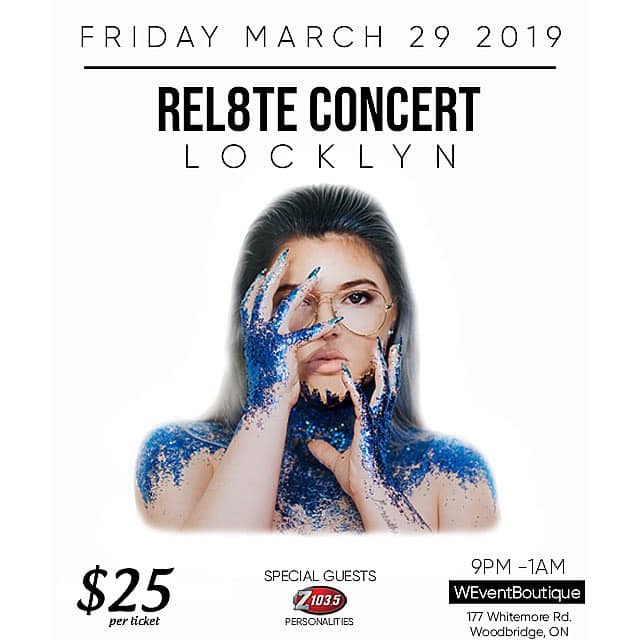 CE SAMEDI le 3 MARS il y aura un spectacle de artistes indépendantes et session réseau hébergé par Landmark Entertainement (LME) au Revival Bar, en Toronto. 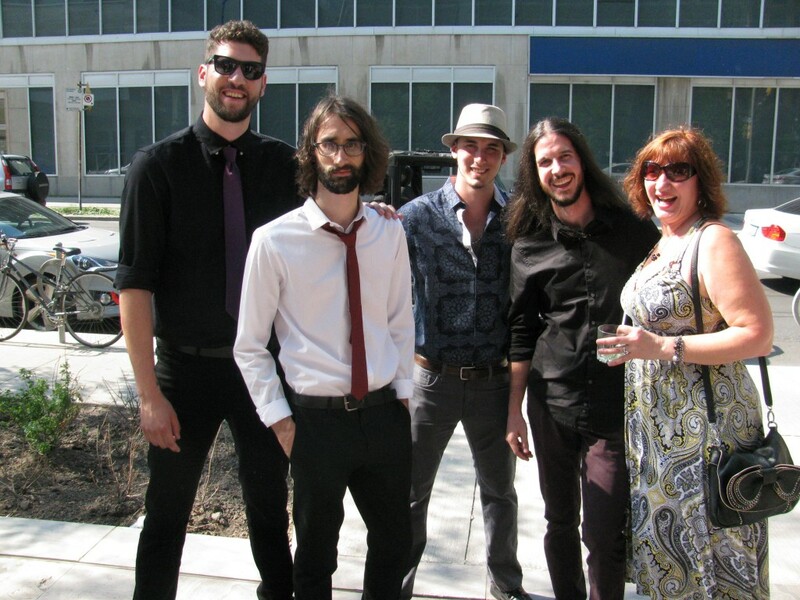 Artistes: Coopertheband,Sincerely Craig, King Park, Key To The North,MitchTones Band et plus! 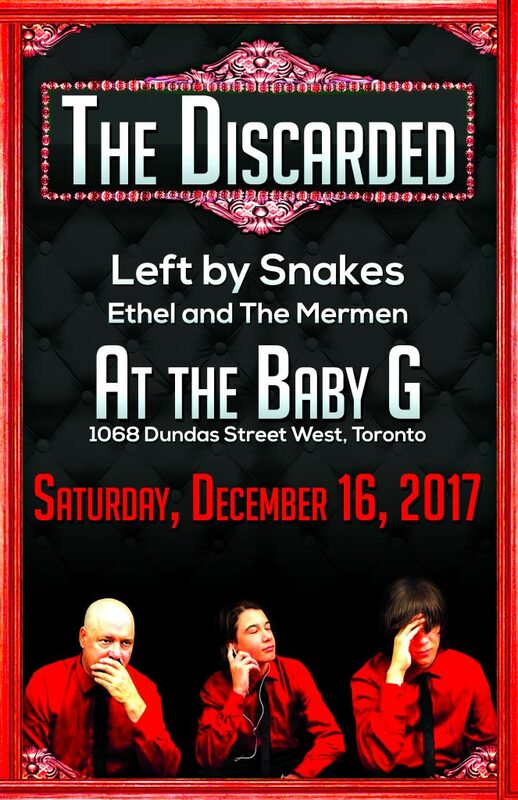 Join us on Saturday night at The Baby G for a live performance from The Discarded. 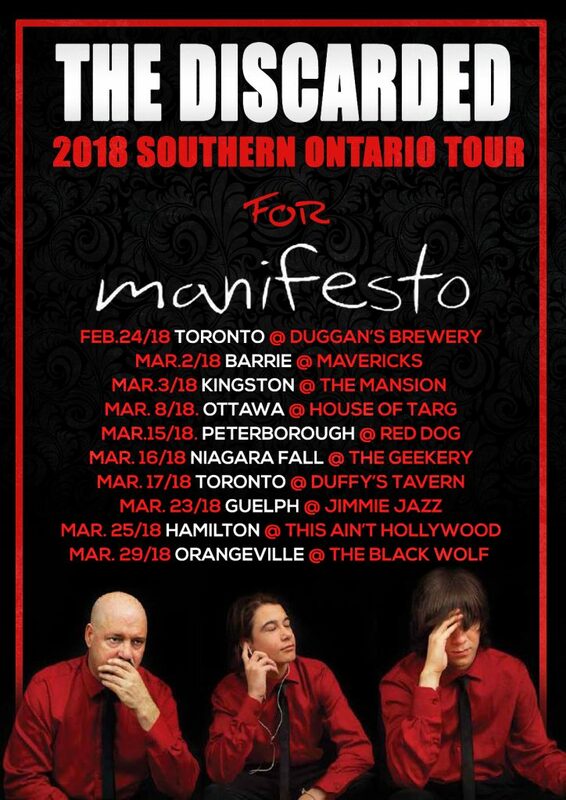 We will be promoting their new album ‘Manifesto’ in the new year to Campus Radio! 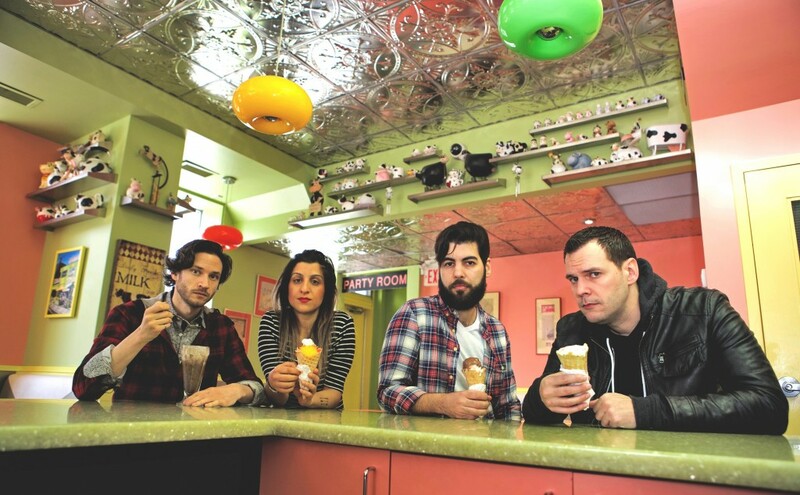 Get your first listen of this electrically-cool trio band! DEC 16th at 9PM. Rejoignez-nous samedi soir au Baby G pour une performance en direct avec The Discarded. 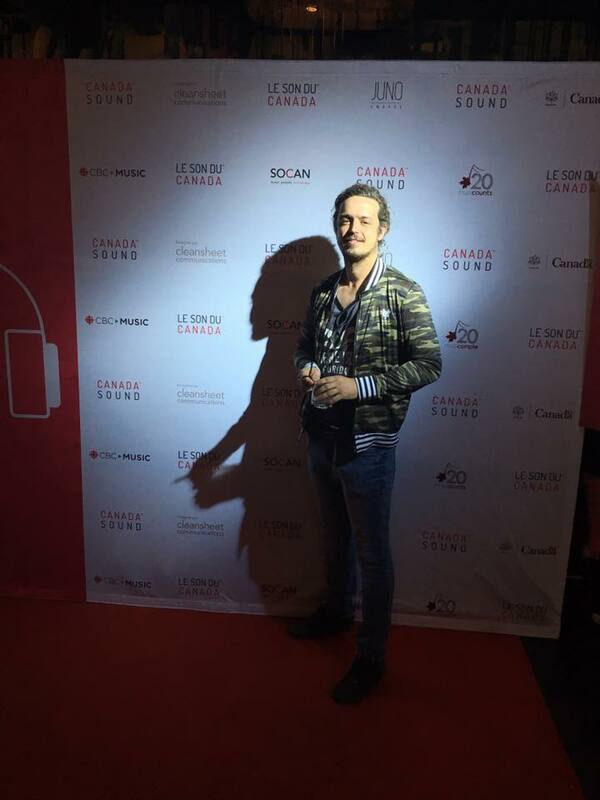 Nous ferons la promotion de leur nouvel album “Manifesto” dans la nouvelle année au radio campus ! 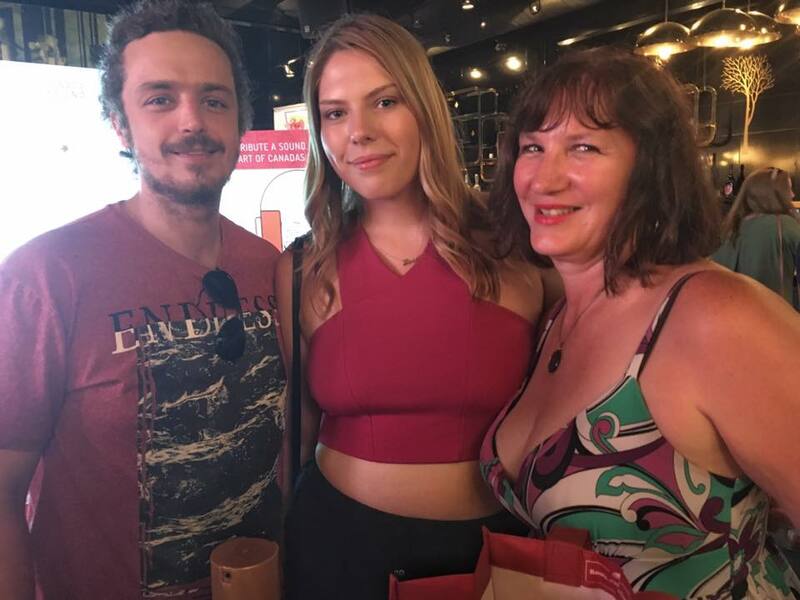 Obtenez votre première écoute de ce trio électriquement cool. Le 16 Dec a 21h. Join a night with Jade Mya in London, Ontario’s largest Country Club – Cowboys Ranch on December 16th at 9PM (19+)! The event will be hosted by BX93 with amazing contest and prizes. Joignez-vous à une soirée avec Jade Mya au le plus grand country club de London, Ontario – Cowboys Ranch le 16 décembre à 21h (19+)! L’événement sera organisé par BX93 avec un concours et des prix incroyables. 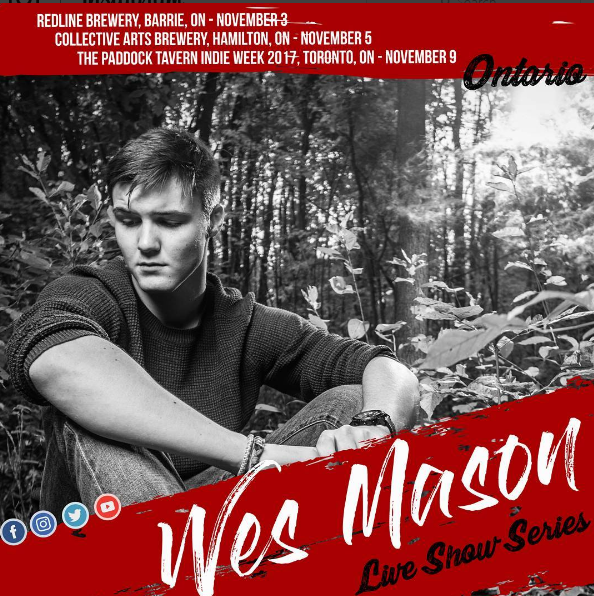 Wes Mason will be playing at the redlinebrewhouse this Friday, November 3rd, then the collectiveham Brewery on November 5th before he hits the stage during @indieweek at @thepaddockto. 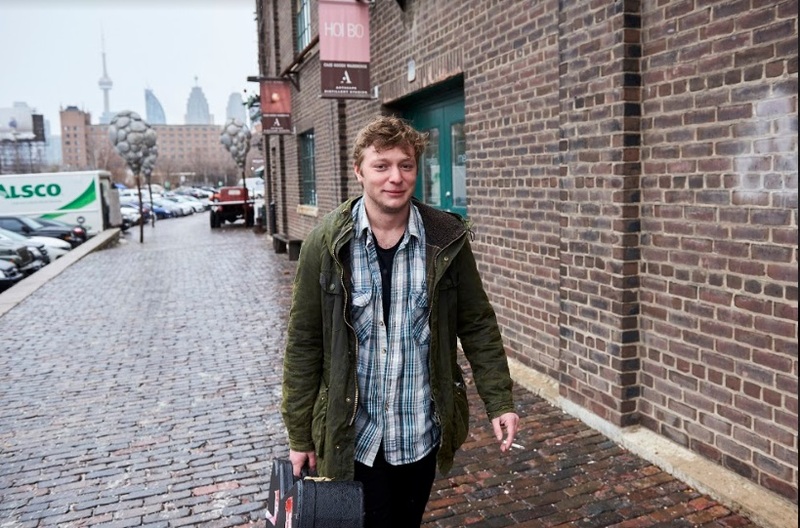 Wes Mason jouera au Redline Brewery ce vendredi, le 3 Novembre, après le Collective Ham Brewery le 5 Novembre juste avant qu’il joue au Paddock en Toronto pour la semaine de Indie Week. Sofia Blu had a very busy weekend this August. 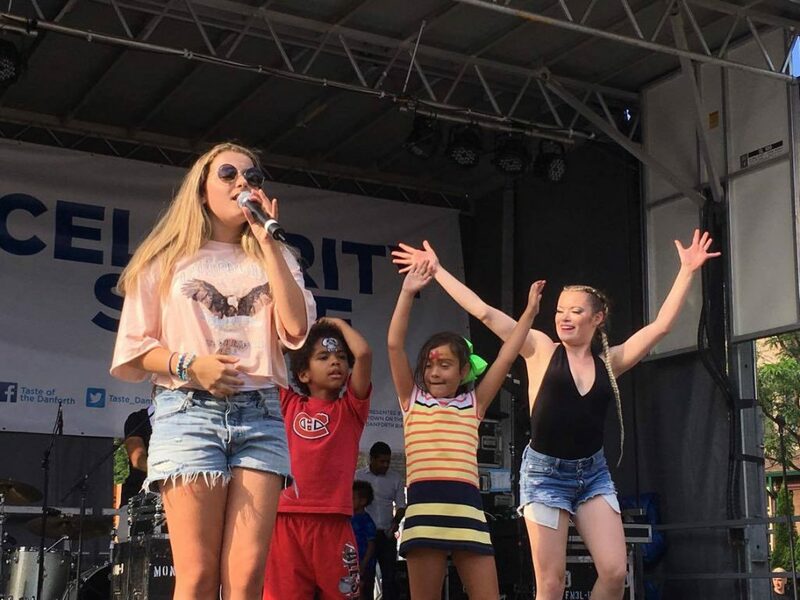 With a show at Collingwood’s Blue Mountain and two performances during Toronto’s largest food festival, The Taste of The Danforth, Sofia Blu couldn’t have impressed us more. 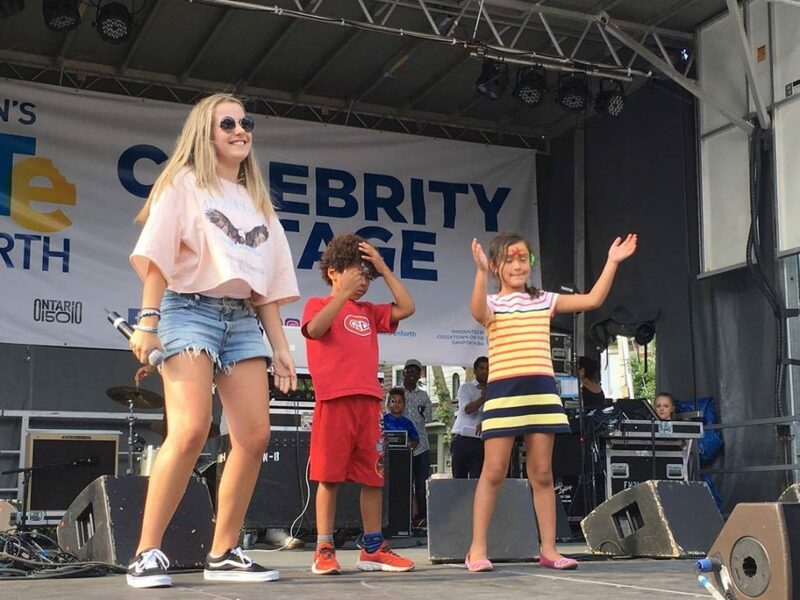 The 13 year old is a natural performer on stage. 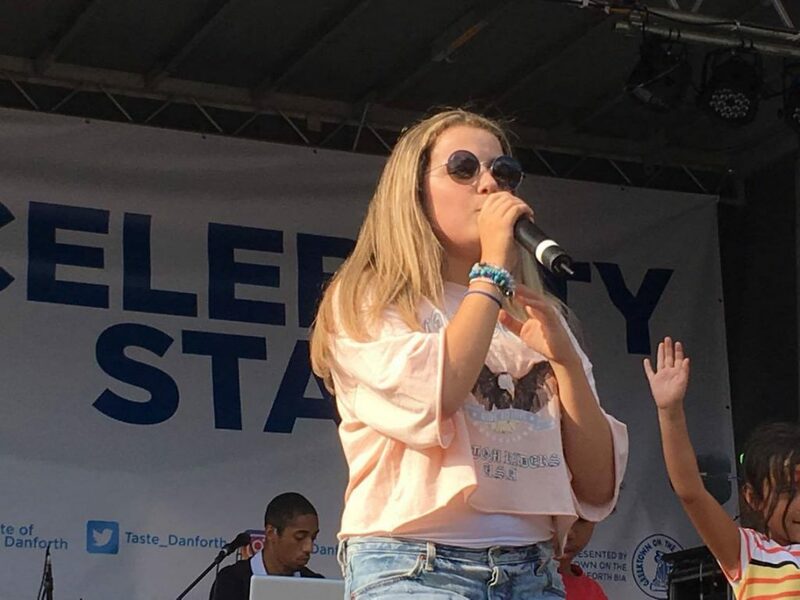 She debuted her new single “Be Myself” and sang 3 original tracks along with a few covers. 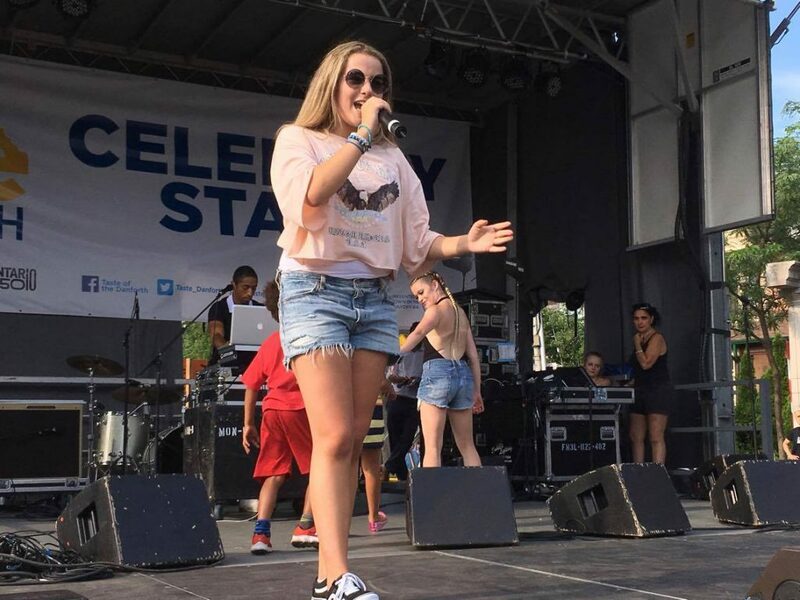 We are looking forward to seeing this young pop songstress’ career blossom! 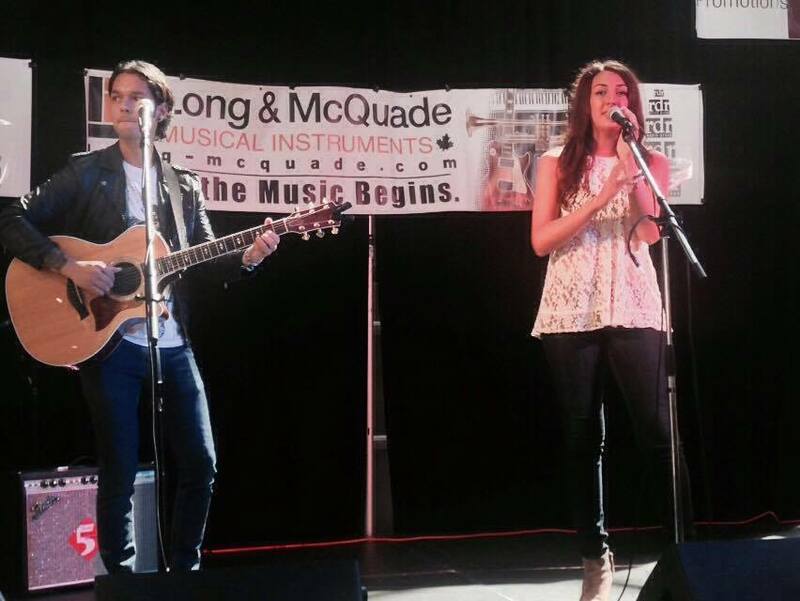 Catch Jade Mya on the road visiting radio this summer across Alberta, Ontario and Québec! Jade Mya is about to embark on a festival tour in Québec to promote her new hit single ” Dirt Covered Rhinestone” ! 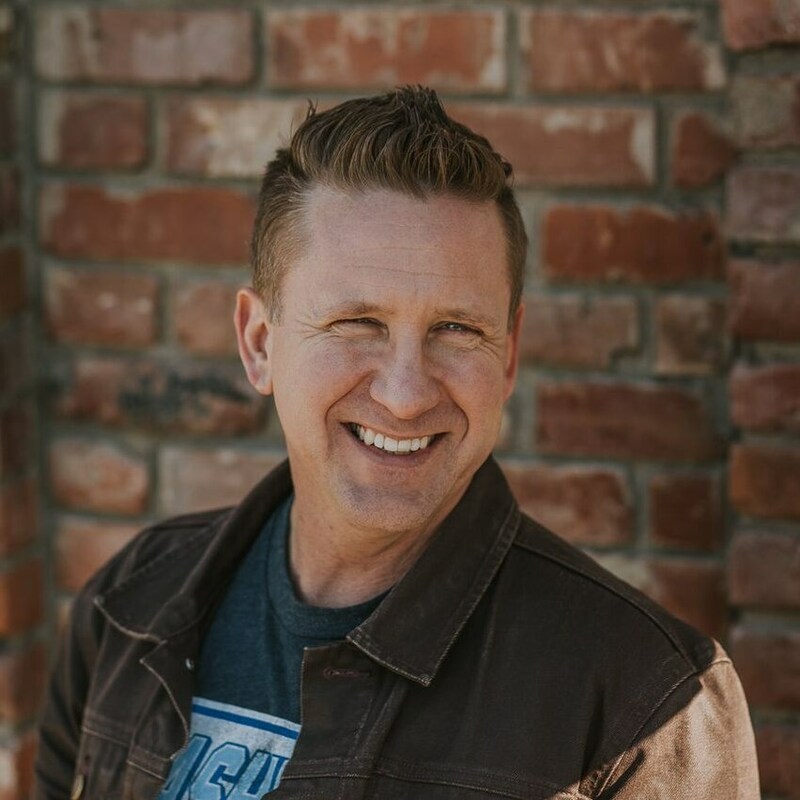 If you haven’t hear it already… you better hear it now -it is gonna be HUGE! We are happy to be hosting “Insights into the radio and music industry” seminar in collaboration with Independent Music Business and OMIC ! Don’t miss out on this huge opportunity to ask all your questions–Saturday, July 15th. 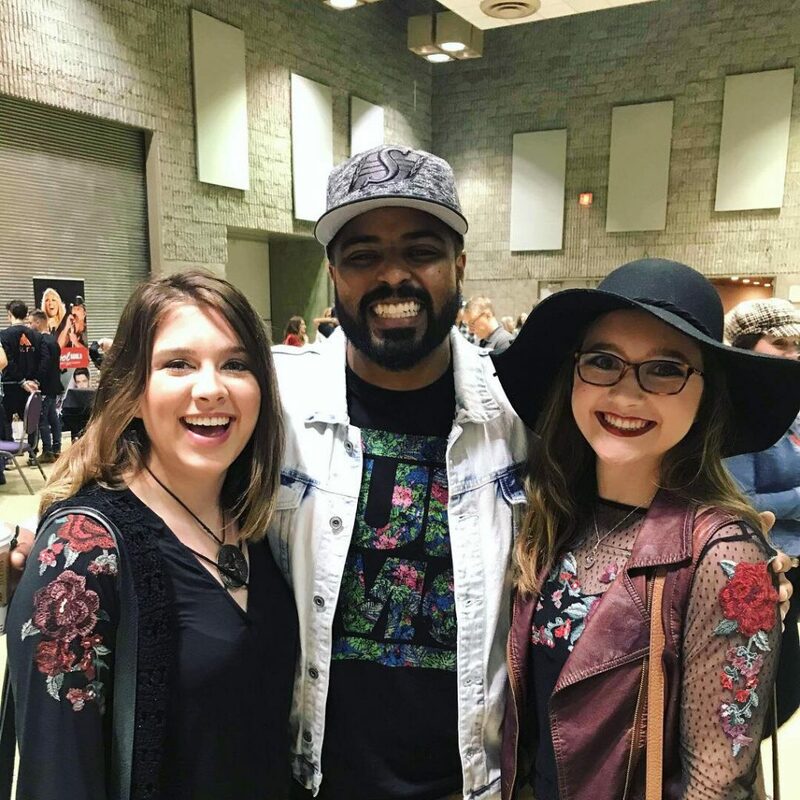 What: AM to FM Promotions’ founder, Andrea Morris, will be hosting a free seminar about getting your songs on the radio, the inside scoop on the music industry and more. Who: we are calling out to all emerging artists and their teams to join this informative seminar, that is completely free! Not available on Saturday July 15th? Tweet @amtofmpromotion or DM us! We will be responding to your questions throughout the entire day. 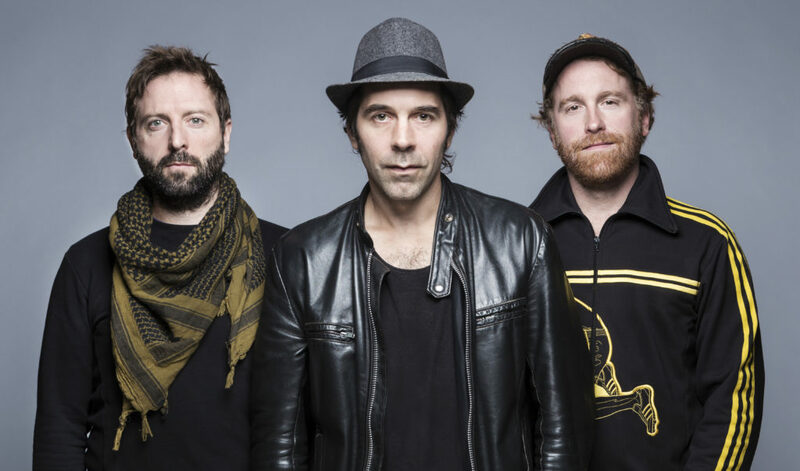 Celebrate Canada Day with a new TUNE! 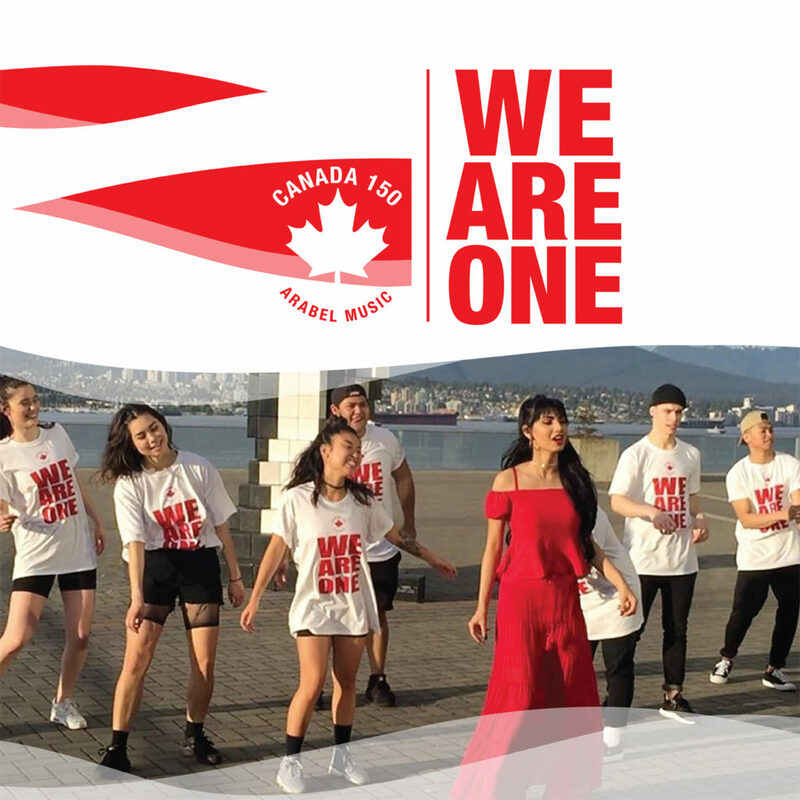 We Are One is a collaborative song about the diversity, love and unity we experience being Canadian. On July 1st, for Canada’s 150th we are releasing the song “We Are One” everywhere for listeners to hear! 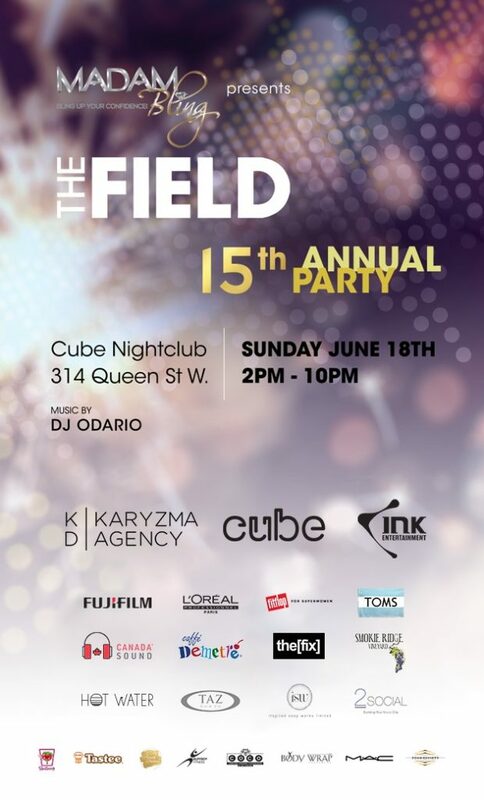 We had a spectacular time joining the Field’s Annual MMVAS party held at the CUBE lounge on Queen St West. 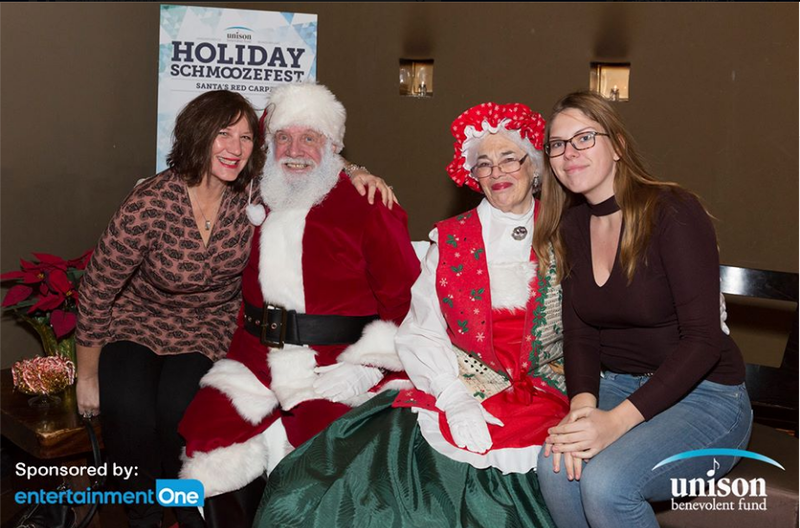 We invited our AM to FM artists to join the party and schmooze with artists and industry people a like. 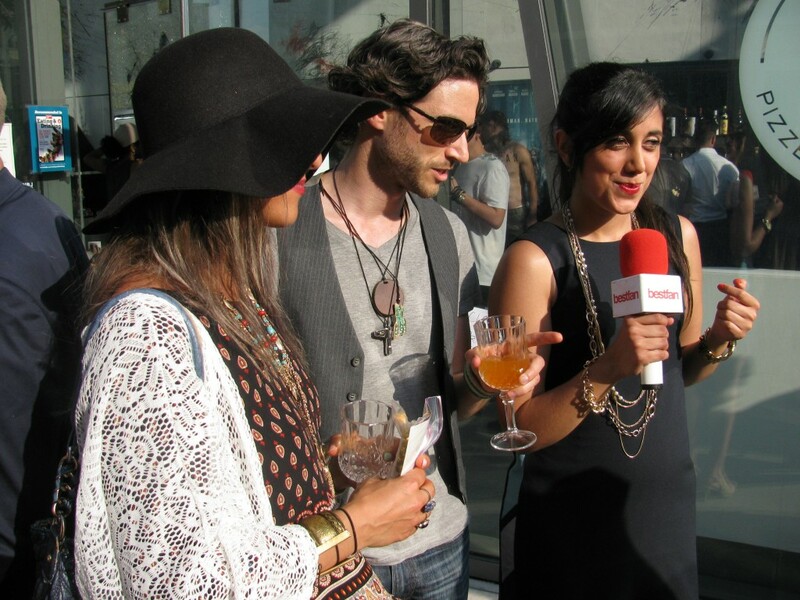 Felitche, Jonny Debt, Dahlia, Raph (Bridgeway), all attended the event. 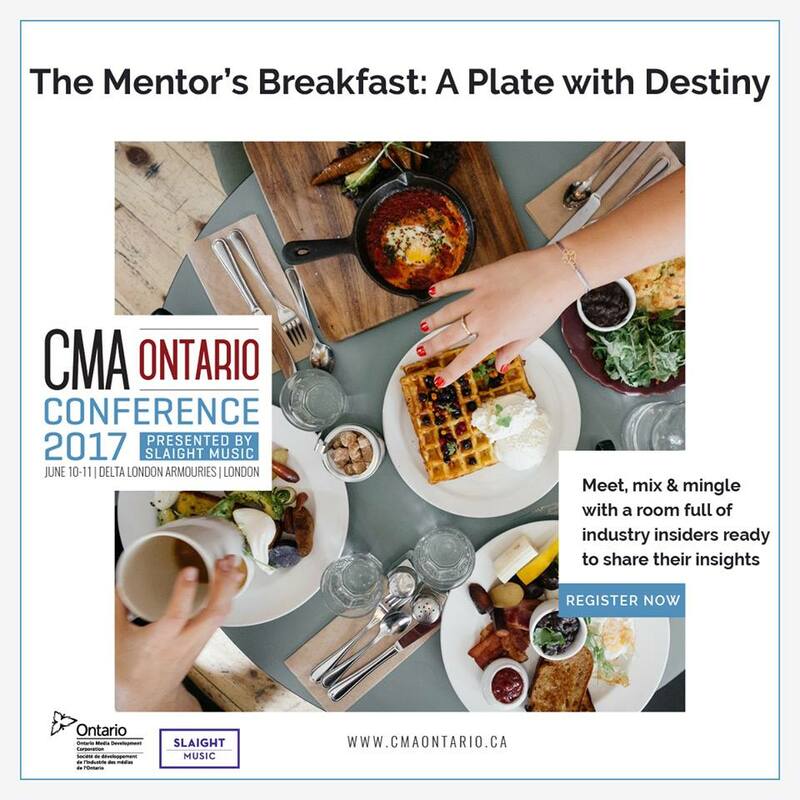 Meet Andrea Morris and her team during the CMAOntario conference in London Ontario (June 9th-11th). 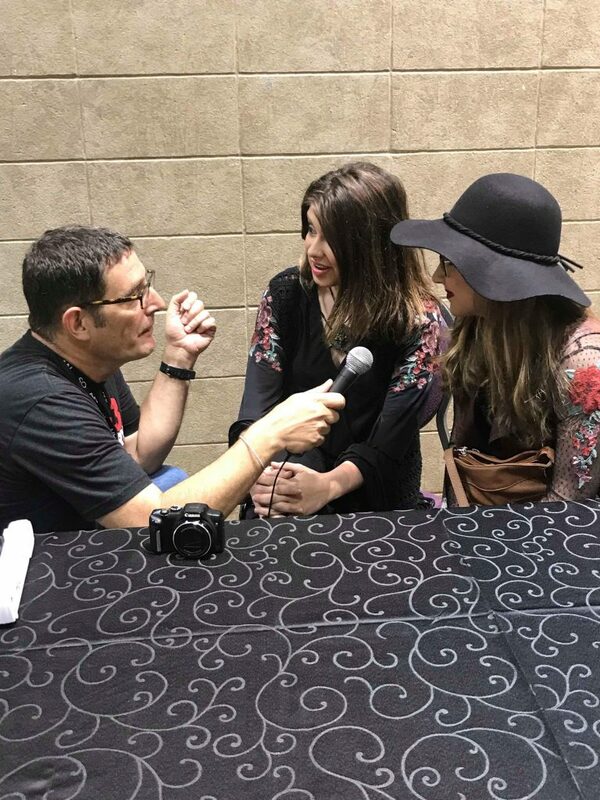 AM to FM Promotions presents What Love Would want in coordination with Tim Arnold, Music Coin, and Diane Foy PR. This new track features a very special music video that lies close within our hearts. It is the first time a diversity of real couples are captured on film (Gay, Lesbian, interracial, trans). Join the conversation on May 17th, for the international day against homophobia and transphobia by using the hashtag #WhatLoveWouldWant and viewing our live streams that will be posted on our page on Wednesday, May 17th! 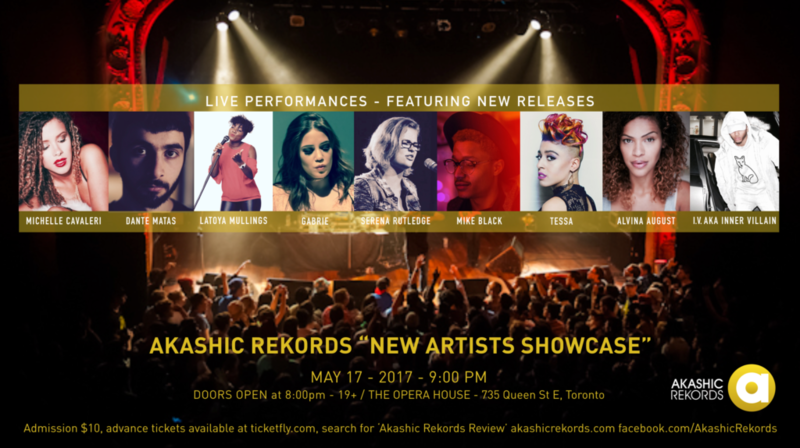 Our friends at Akashic Rekords are hosting a New Artist Showcase on Wednesday, May 17th! 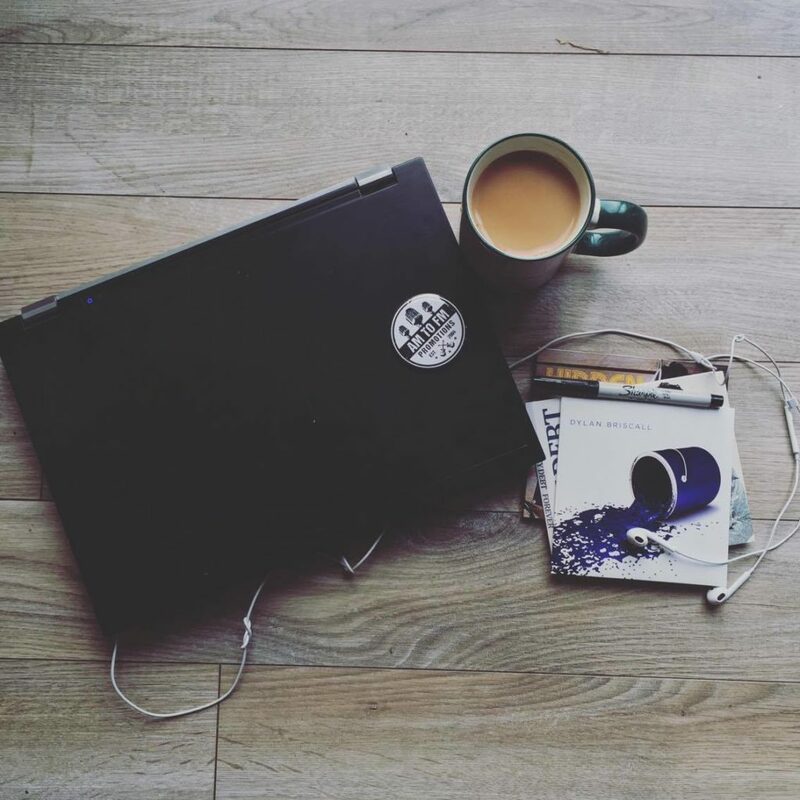 Meet new artists, producers, and AM to FM! Artist Lineup includes; Mike Black, Alvina August, Michelle Cavaleri, Tessa, Dante Matas, Serena Rutledge, Gabrie, Latoya Mullings, I.V. PSst! Follow us @amtofmpromotions and/or tweet us @amtofmpromotion for exclusive pics, live streams and more! 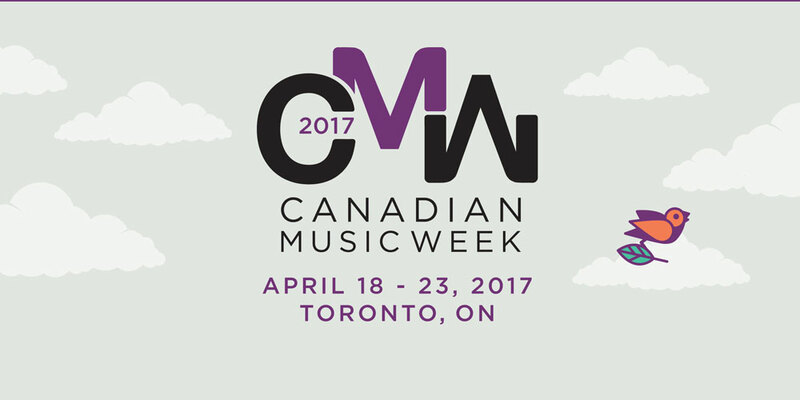 Join us during Canadian Music Week 2017 for some amazing performances. 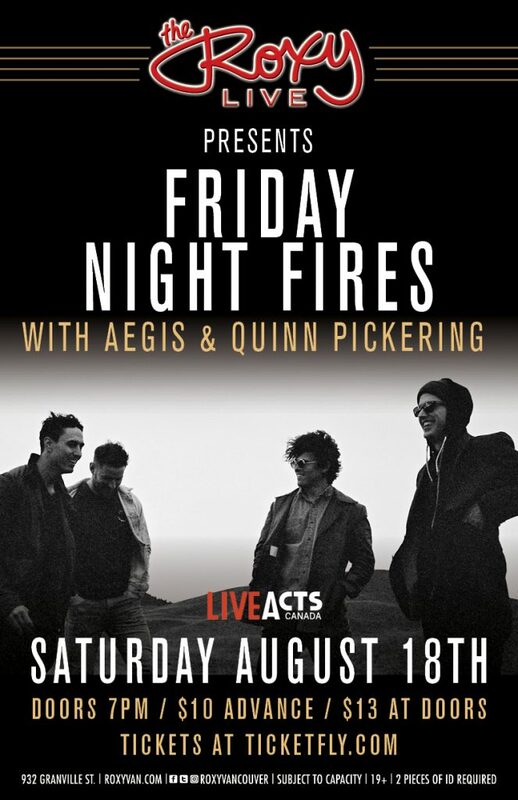 We have AM to FM artists playing showcases across the city for this highly anticipated music week. 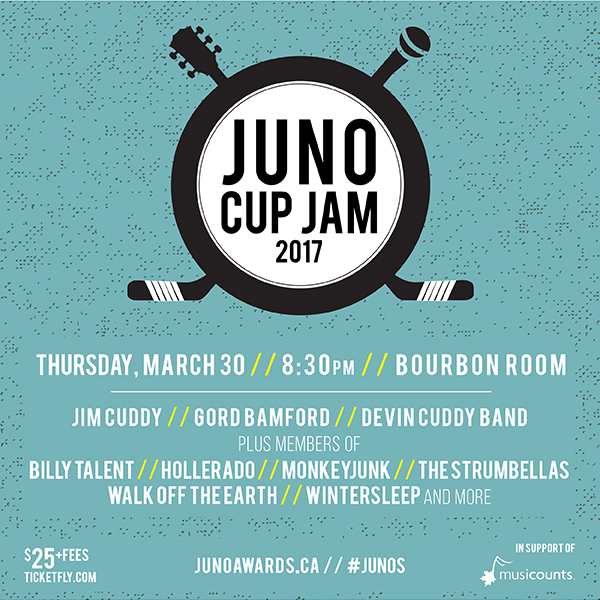 Midnight Shine performs in Ottawa for the Juno Cup Jam ! 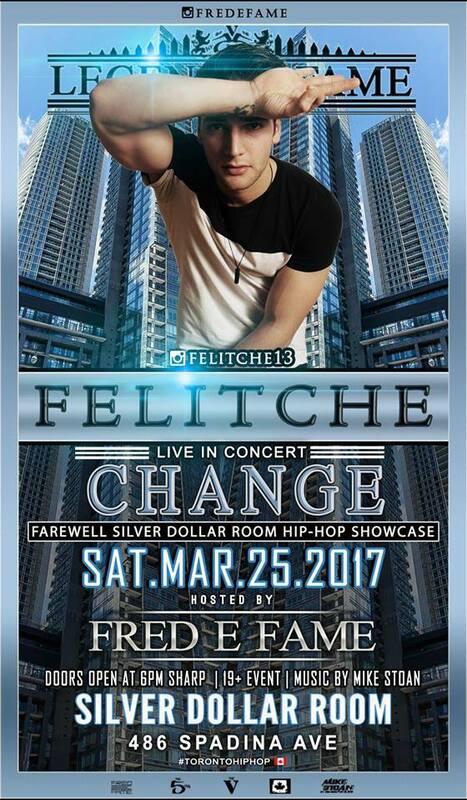 Felitche live at the Silver Dollar in Toronto, Saturday, March 25th! 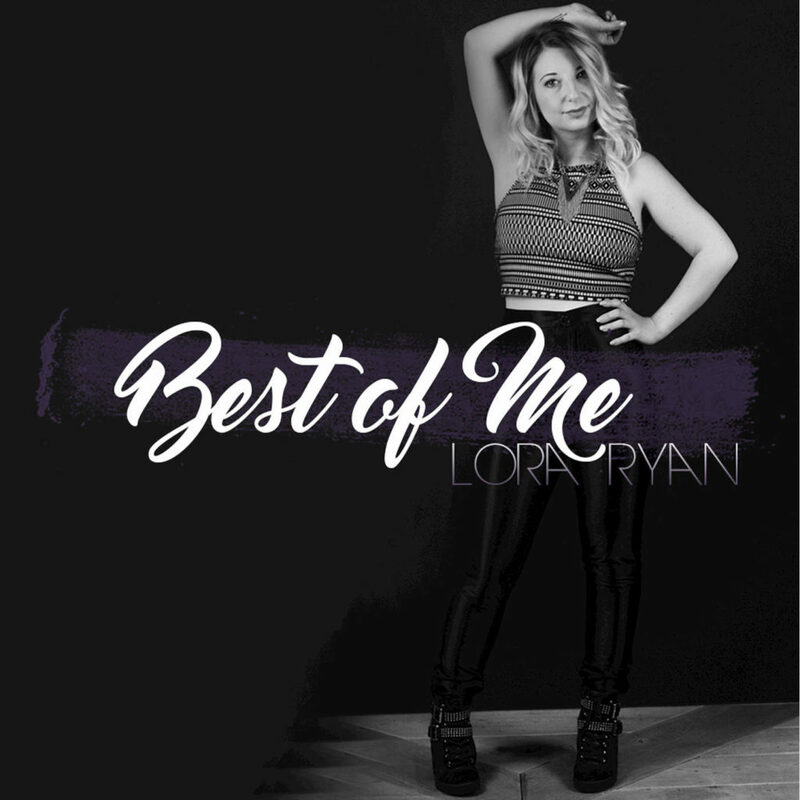 LORA RYAN will be LIVE this Friday, February 9th at WAYLA BAR. 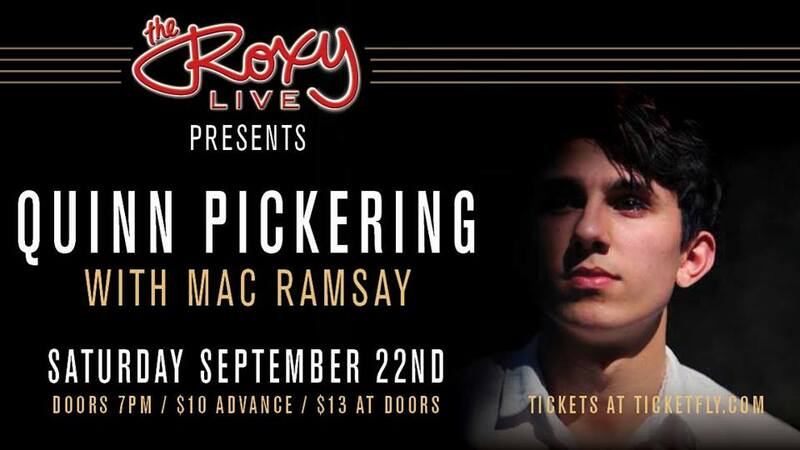 What: Free Cover* Performance by Lora Ryan with special guest Andrew Scott. Alessia Cohle had a night to remember on Wednesday night. 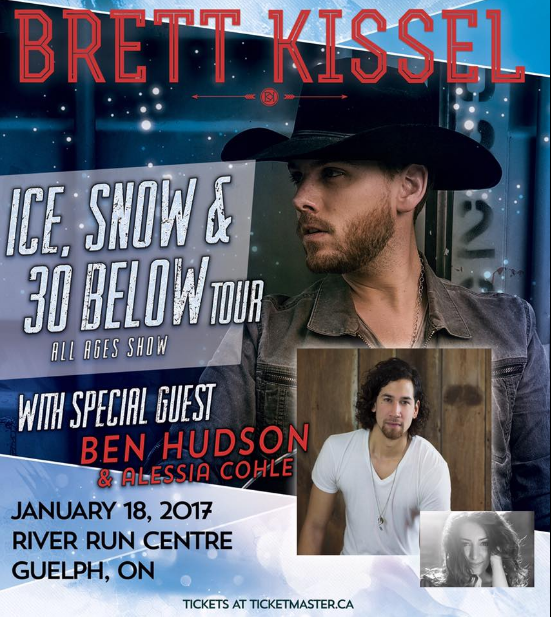 Alessia opened the Brett Kissel show held in Guelph ! Happy New Year & Welcome to 2017 ! 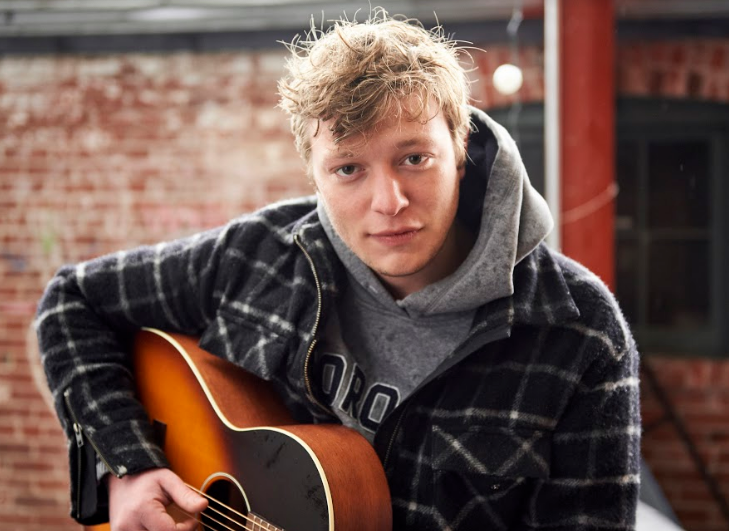 We are excited to announce some brand new music this month- Lemon Cash and Emma Alves have brand new singles, and we have some new artists on our roster as well ! 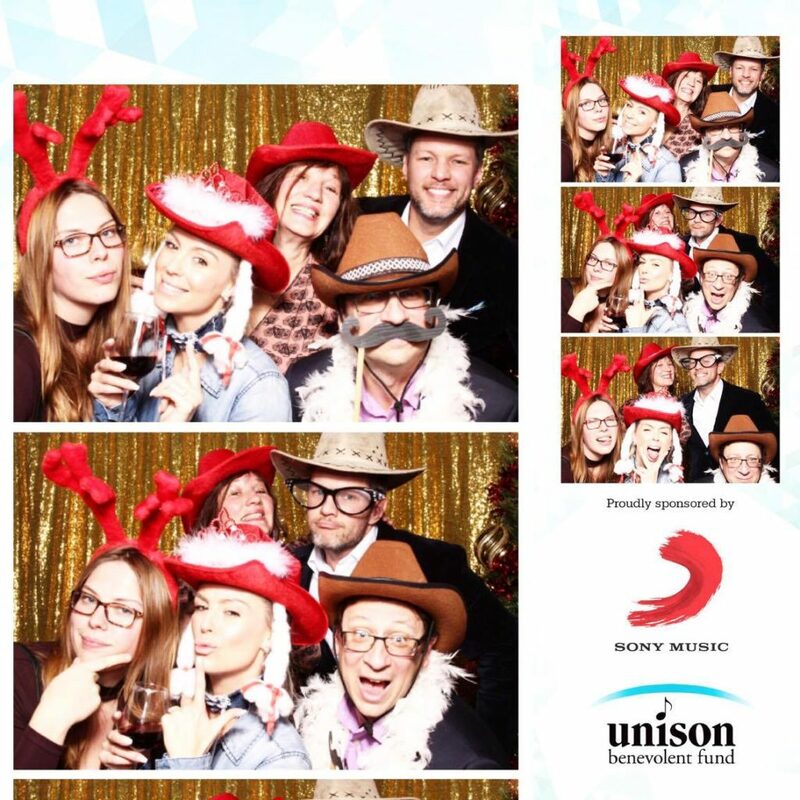 The Unison Fund provides discreet relief to music industry professionals in times of crisis. There are two distinct types of support available through the fund, Financial Assistance and Counselling & Health Solutions. 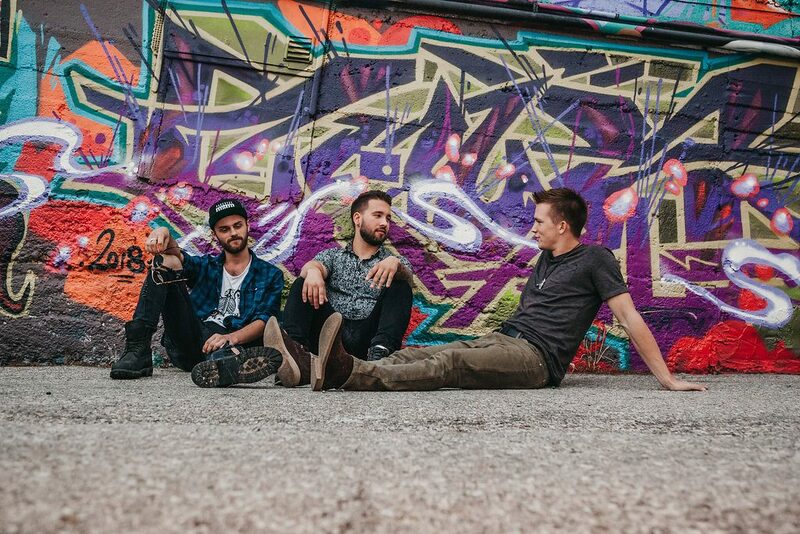 We are Wolves will be playing LIVE in Toronto! 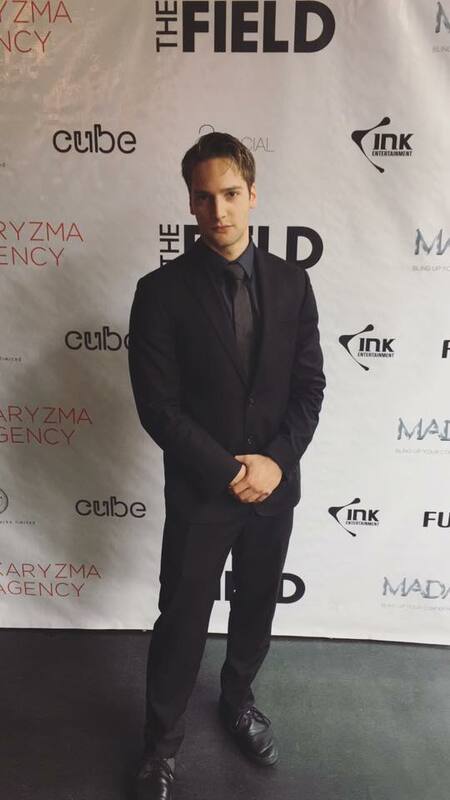 En spectacle le Samedira 10 Decembre à The Baby G (TORONTO) ! 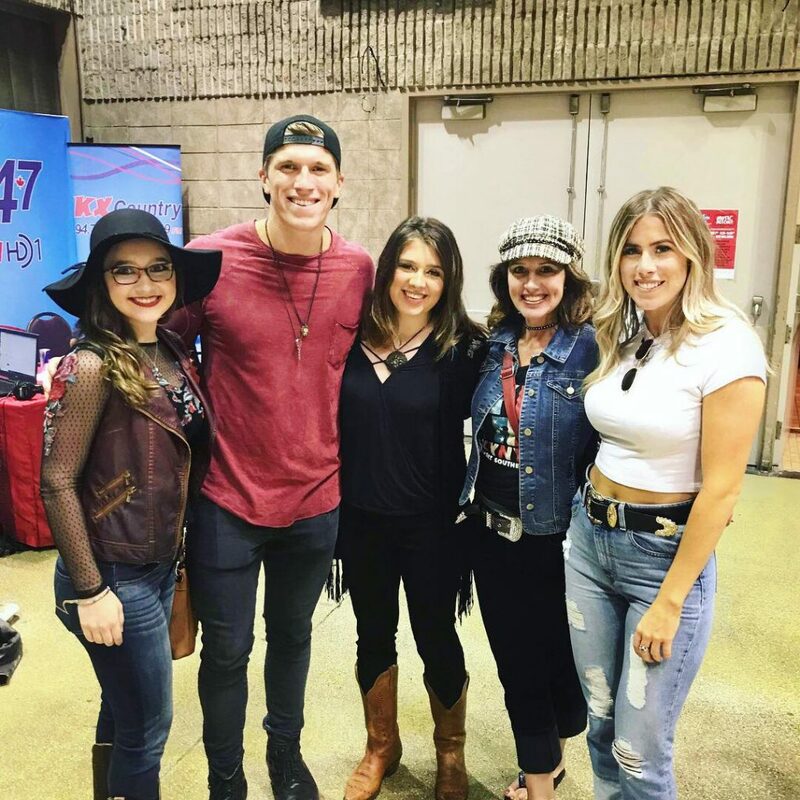 A night to remember for us all, Alessia Cohle has followed her dreams in Country music. 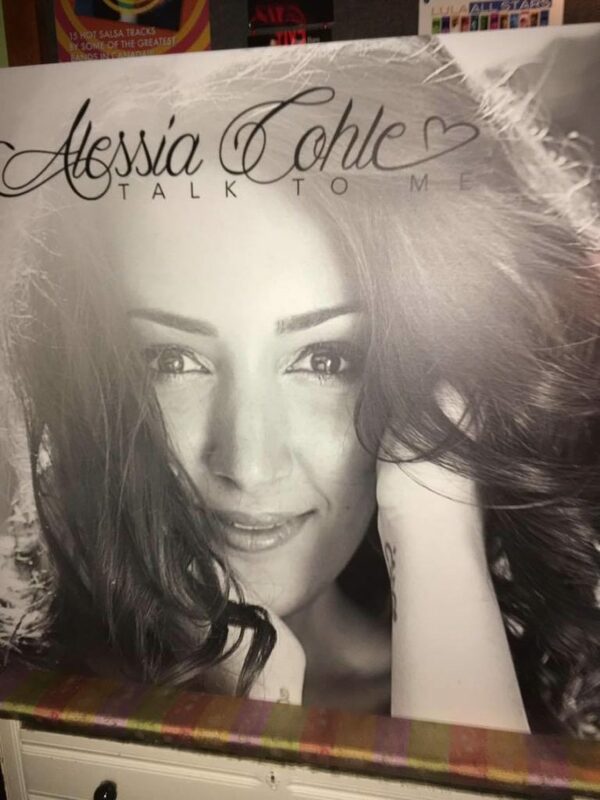 After months of dedication and hard work, the album, Talk To Me is an array of harmonies that describe the unique sound of Alessia Cohle’s music. Check out the album on Itunes today! 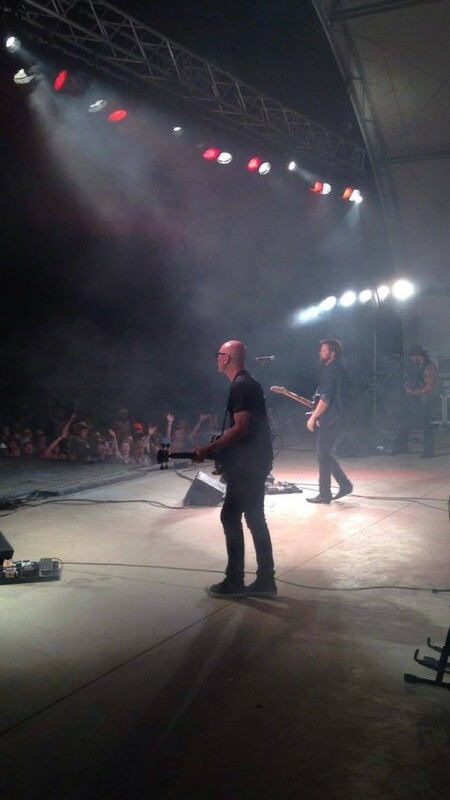 High energy, amazing audience and the perfect ambiance. 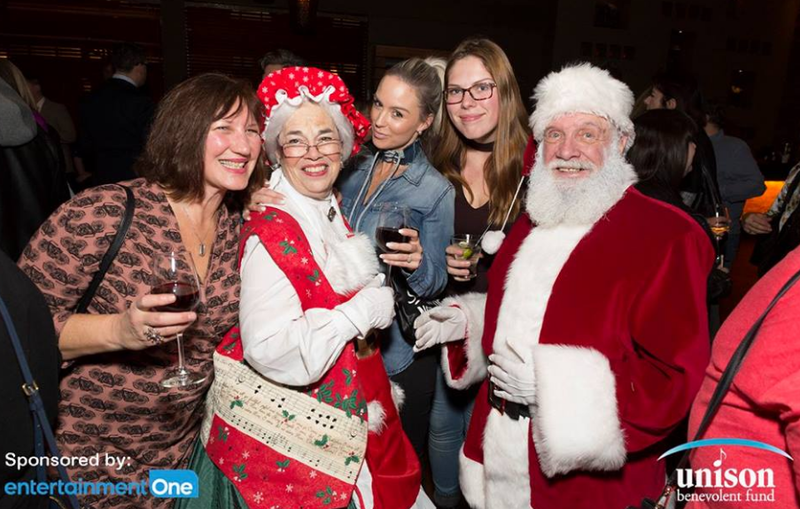 Last Friday night was a hit at the Royal Ontario Museum! NOVEMBER 4TH: Jade Mya live @ the ROM in Toronto . 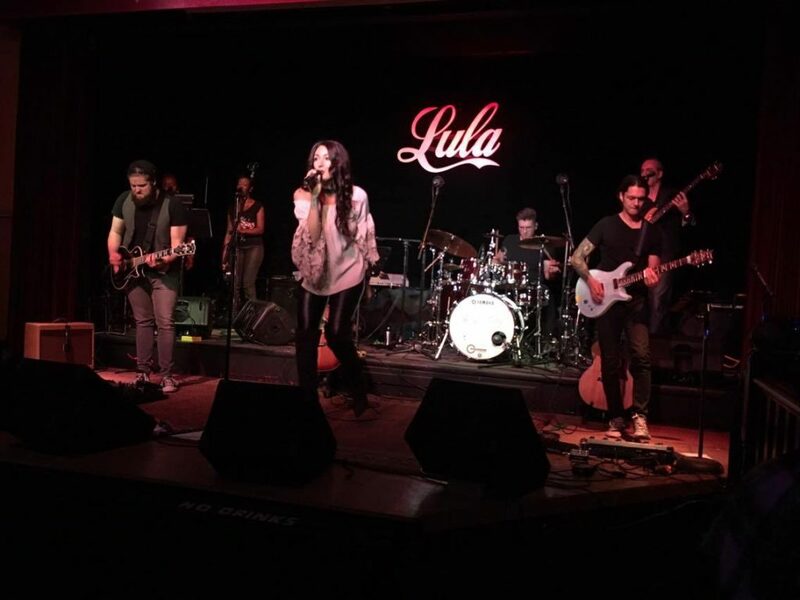 NOVEMBER 5TH: Alysha Brilla live in Toronto. NOVEMBER 5TH: BINK performing live at 401 mini indy in Toronto! 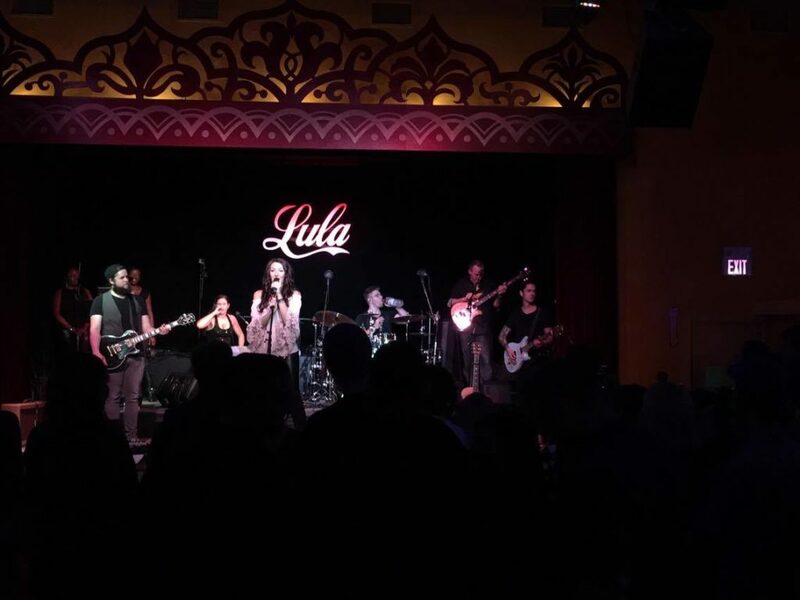 NOVEMBER 15TH: Alessia Cohle CD Release Party. 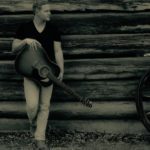 NOVEMBER 17TH: Indie Week Emerging Country Artist Showcase. ask us about these events for more information! Sunrise and Good People LIVE in Granby! EN DIRECT Sunrise and Good People GRANBY! 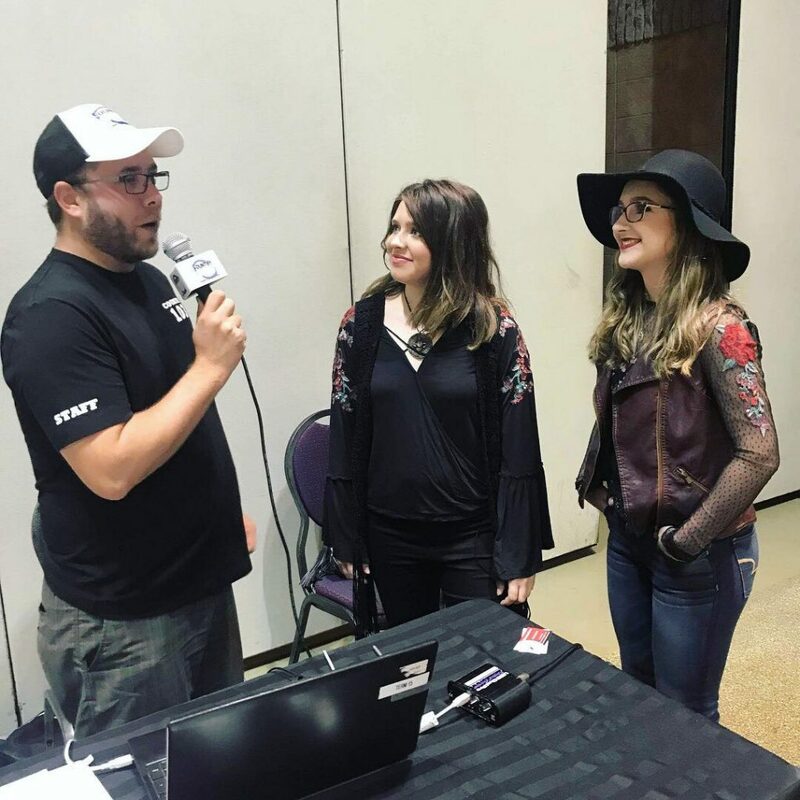 Jade Mya continues to promote her new album “Heartbreak Country” by performing her hits “Lies of the Lonely”, “Telescope” and her new single “Another Thing Coming”. Catch Jade on her upcoming dates in Toronto.Next stop, ROM (November 4th). 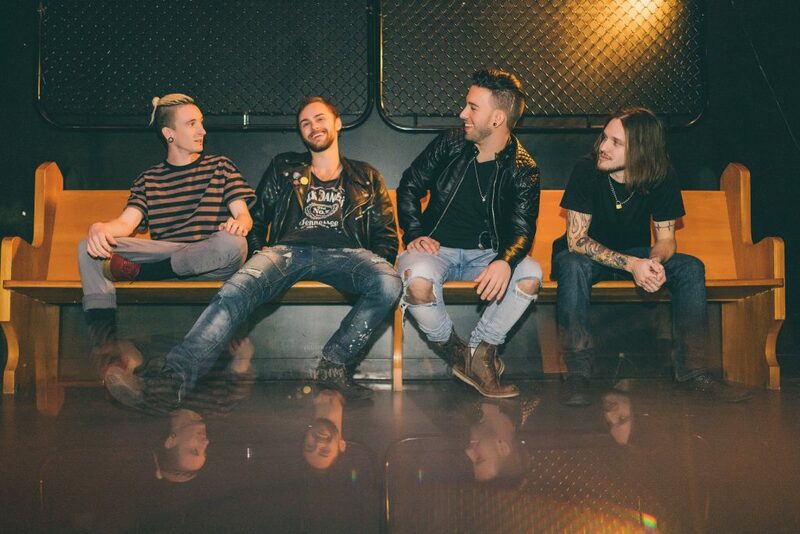 Thursday, September 29th Goodnight,Sunrise is releasing their 2nd album “Falling Awake”. 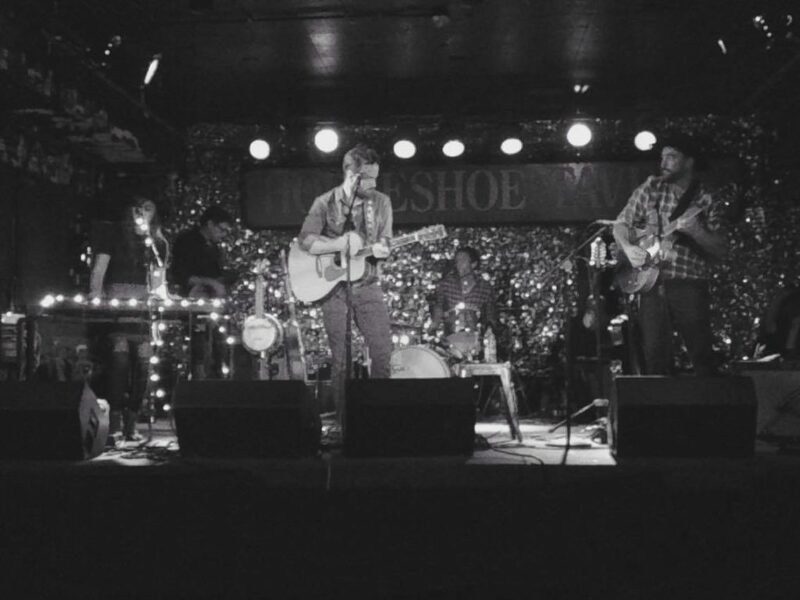 We are celebrating the release at the Horseshoe Tavern in Toronto! Cover is $8 or Get 2 for one, cover +CD for $15! Come down and ask us your questions this Thursday at Placebo Space in Toronto! 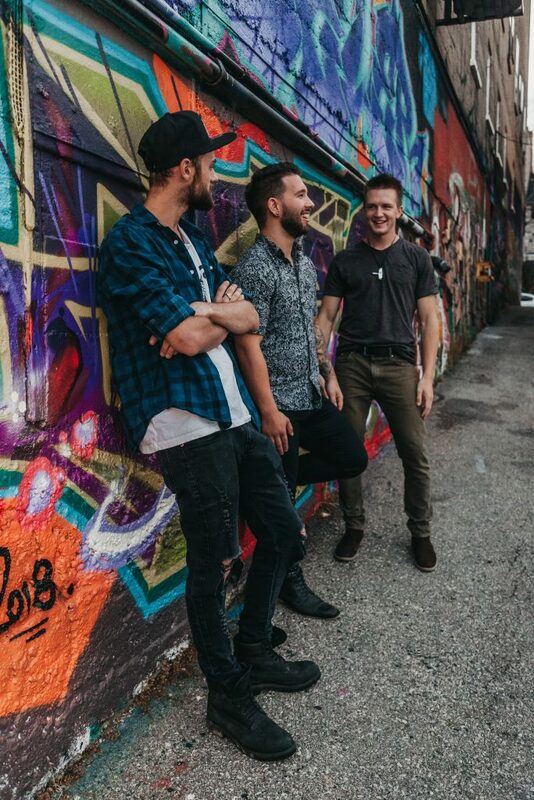 We will be hosting a free live music event featuring artists;Dylan Briscall, Michael Gray and Wes Mason along with special guests. 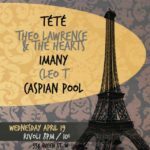 Enjoy drinks, awesome tunes and have a great time! 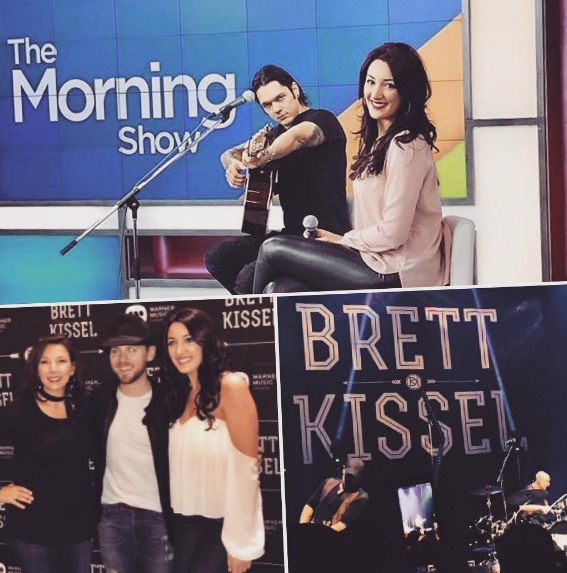 Alessia Cohle had a busy week at the #CCMAs (Canadian Country Music awards). 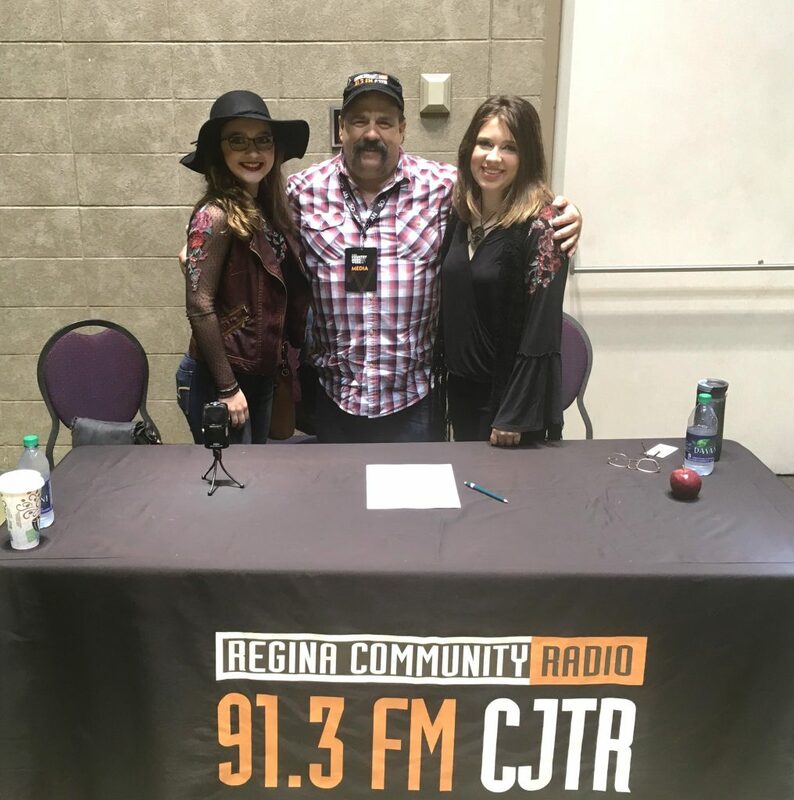 Alessia Cohle, country artist sang all week long in the house band for the Canadian Country Music week held in London, Ontario. Alessia Cohle playing her 3 hit tracks on the Diamonds In The Rough Stage at the Delta Armouries on Saturday morning. 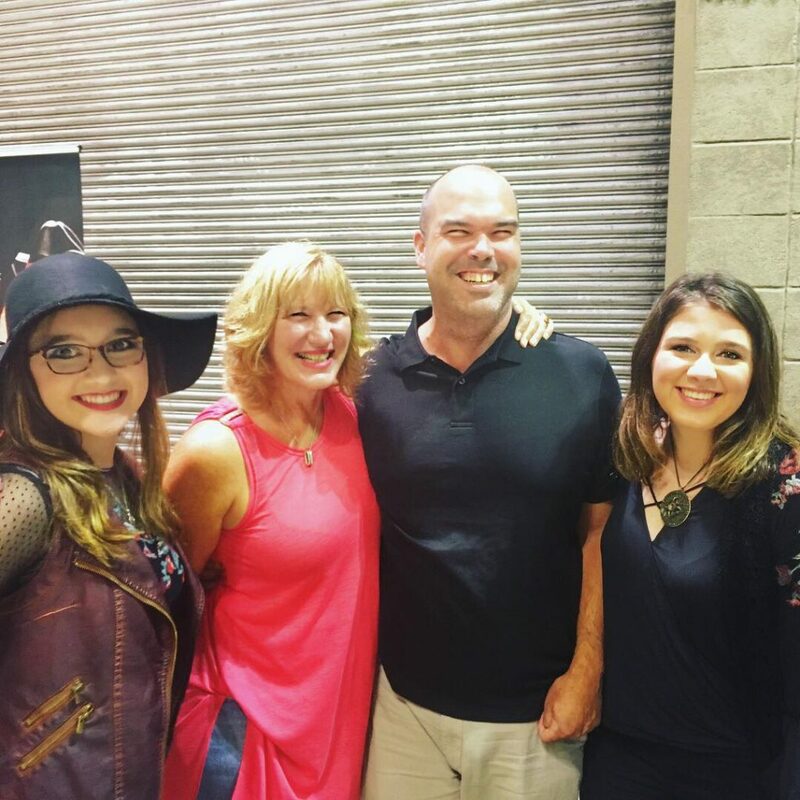 AM to FM Promotions had an amazing time meeting members of the music industry and supporting our country artists. see more on our social media; @amtofmpromotions. Jade Mya will be performing at the Boots and Bourbon on Friday, September 23rd at 10pm ! 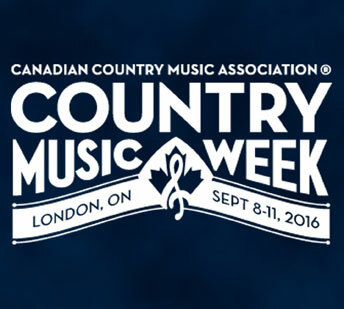 AM to FM Promotions invites you to come say hello during this year’s CCMA’s held in London, Ontario! 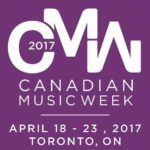 We will be attending the CCMA’s this year with special guest, Alessia Cohle. 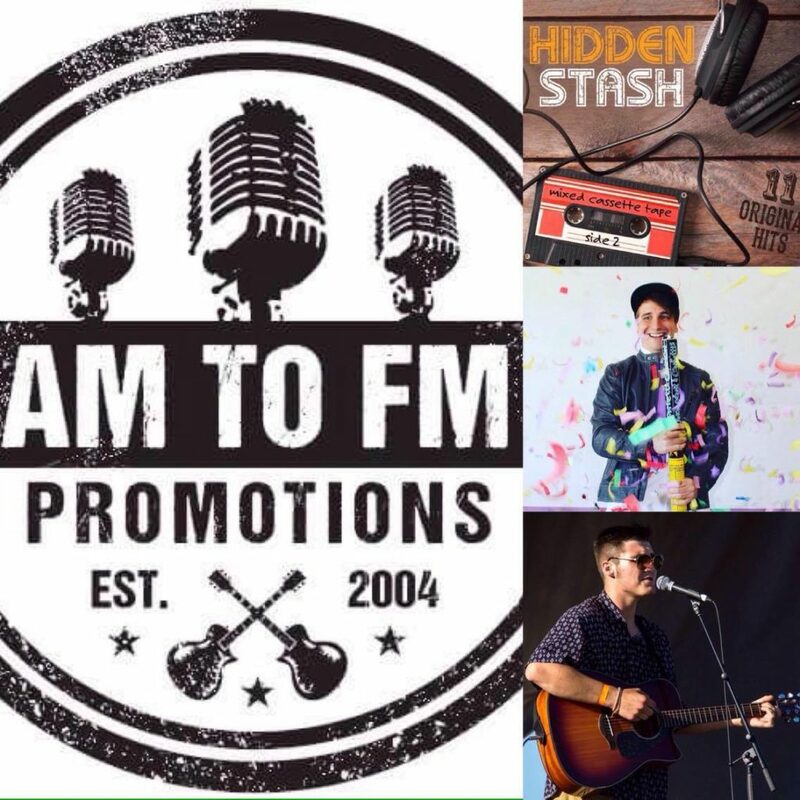 Spot us sporting our AM to FM tees, we would love the chance to meet you and say hello! See Laura Sauvage play live/ Visionner Laura Sauvage en direct! 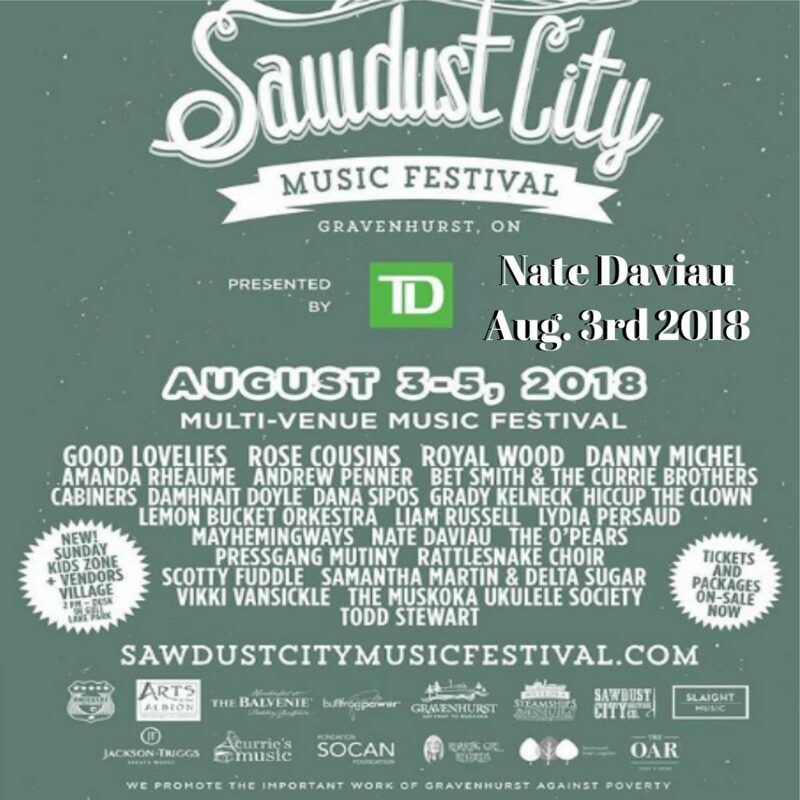 Dimanche le 4 Septembre voir Laura Sauvage en direct au ROUYN-NORANDA – FME – Agora des Arts! 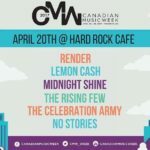 Lemon Cash will be performing live! 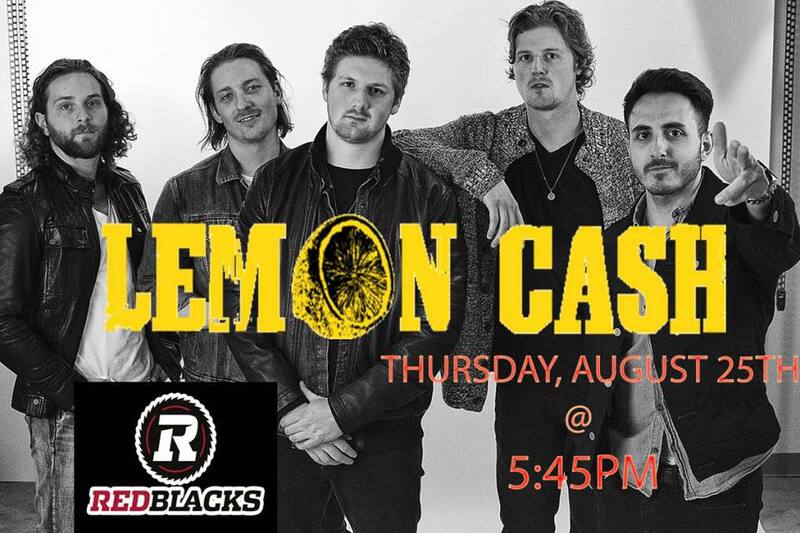 watch them perform live during the pre-game at TD place, when the Ottawa Redblacks will be hosting the BC Lions. AM to FM Promotions invites you to come say hi and come on down for Manitoulin’s Country Fest (August 4th to August 7th 2016). 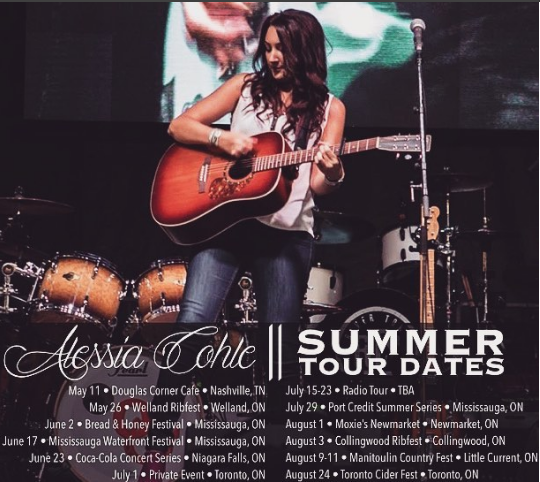 Alessia Cohle will be perfoming alongside Jessica Mitchell, Black Jack Billy, The Road Hammers and Brett Kissel! We hope to see you THERE! 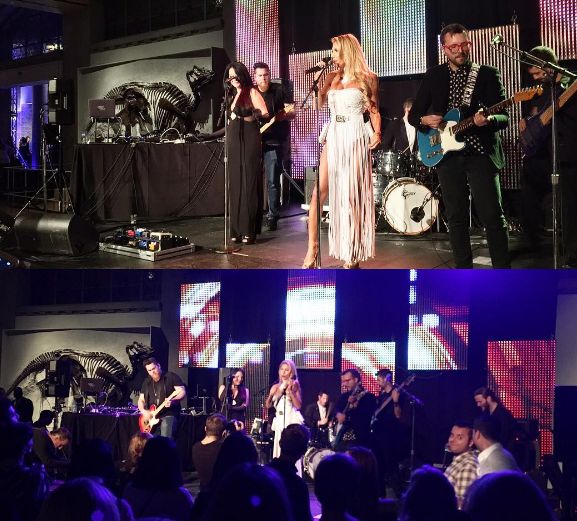 Jade Mya Album Launch Showcase| Jade Mya en Direct pour le lancement de son album! 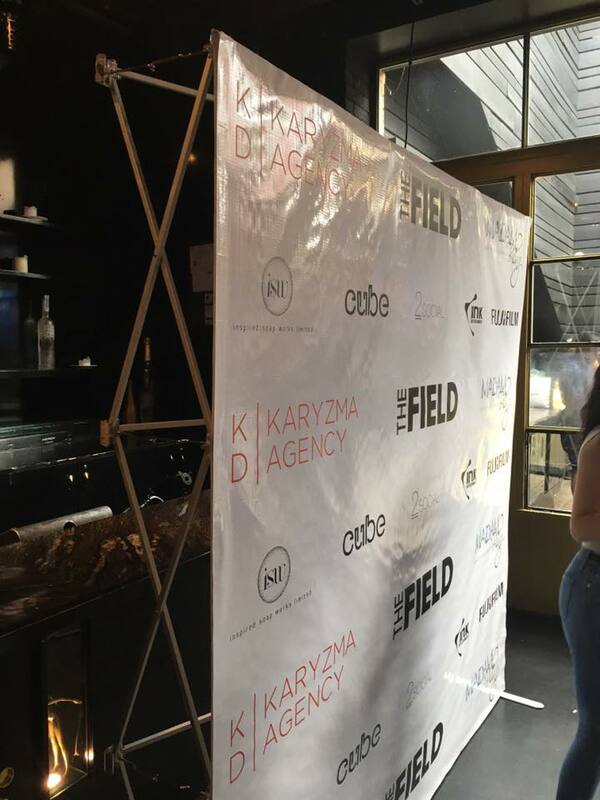 Media are invited to attend the Jade Mya album launch showcase on Monday, August 15 at 120 Diner (120 Church Street) in Toronto. 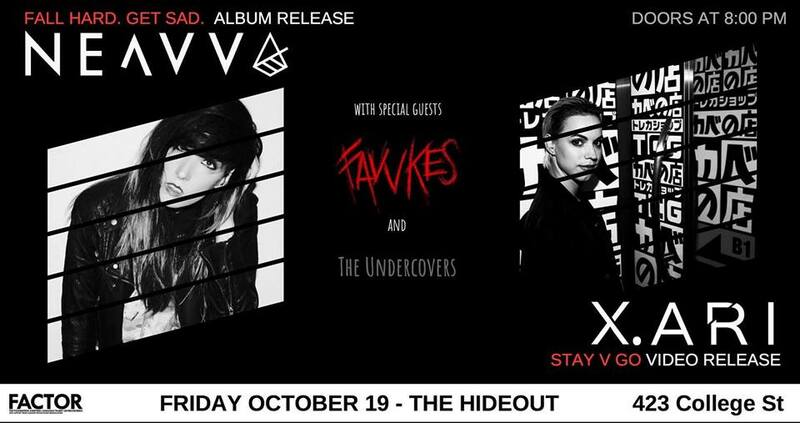 Vous êtes invités au Jade Mya Showcase pour le lancement de son nouveau album! Lundi, 15 Aout à 120 diner (120 Church Street) Toronto. industry’s most eclectic and celebrated people. In photo: Lala Dawn, Nina Browwn with the models for the upcoming film, Tarzan. 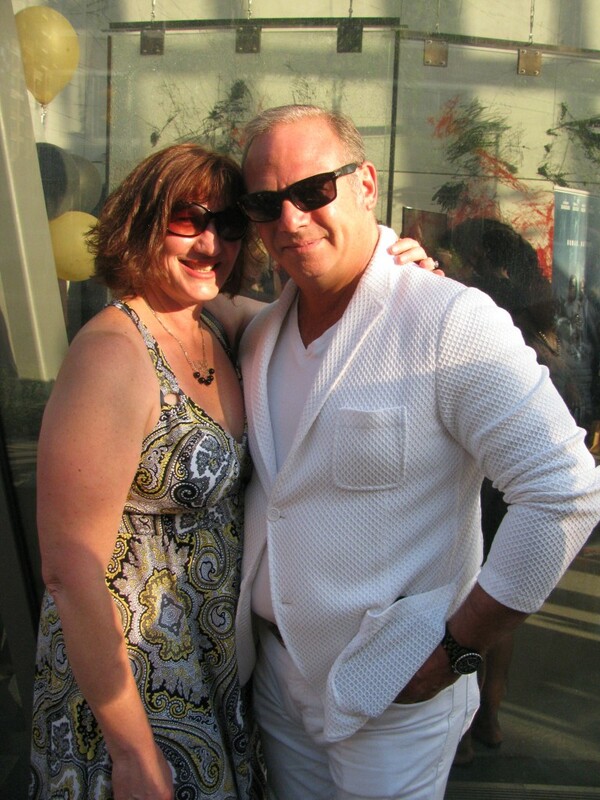 In photo: Wes Mason with Andrea Morris (CEO of AM TO FM Promotions. In photo: In Saigon band with Andrea Morris. In photo: Goodnight Sunrise with show host Best Fan. 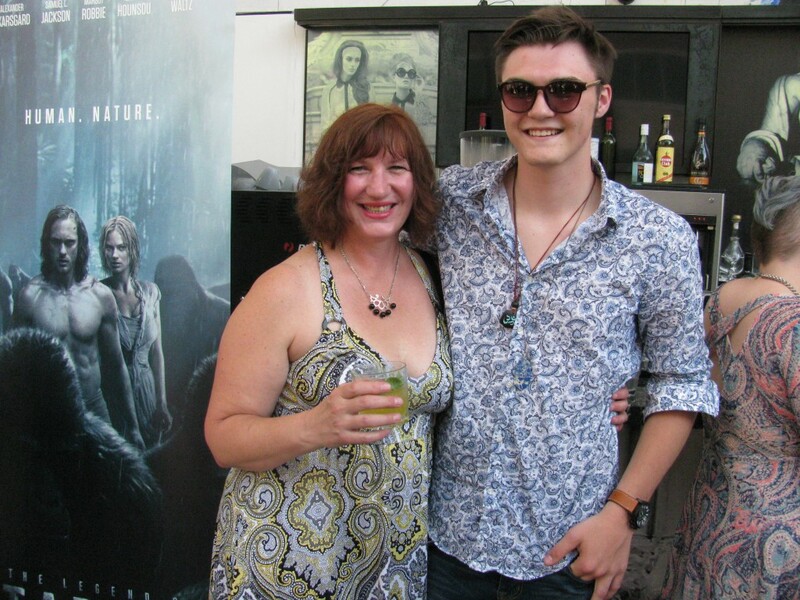 In photo: Jake Gold with Andrea Morris. 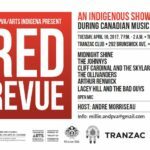 Check out Jade Mya on tour in Canada.